Apple has officially announced the latest iPhone 6. 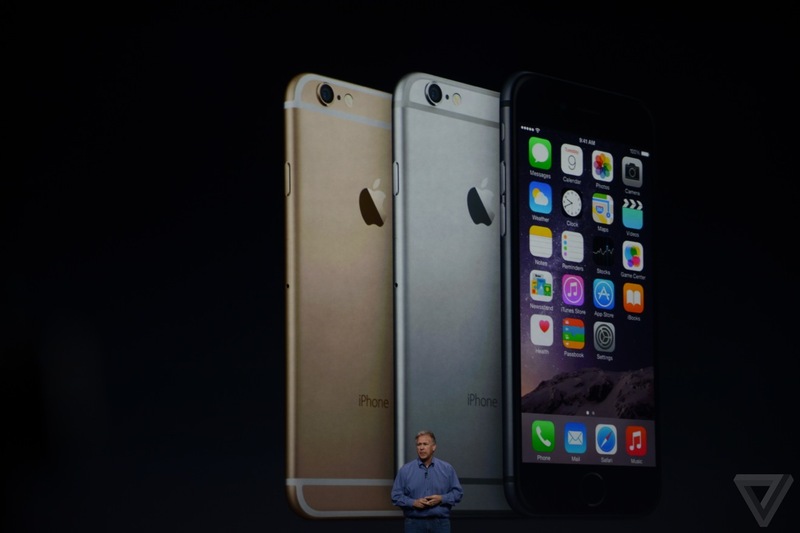 The iPhone 6 & iPhone 6 Plus will be available in two different sizes. 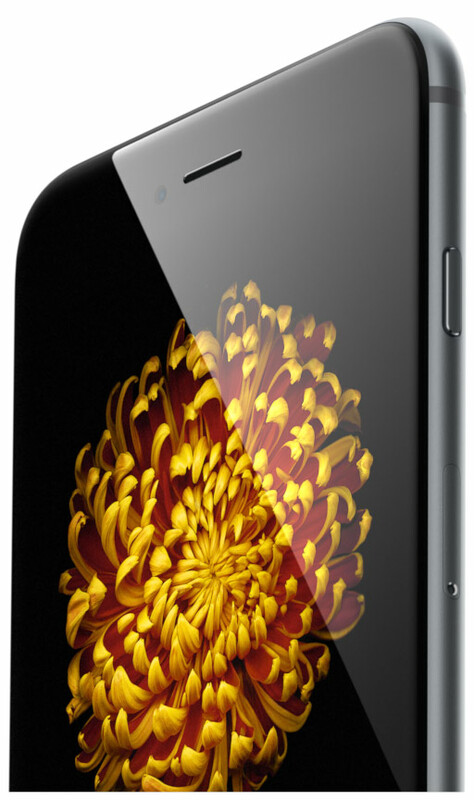 Apple said the 4.7-inch iPhone 6 boasts 38 percent more pixels than its predecessor, the iPhone 5s. And the jumbo-sized iPhone 6 Plus packs in 185 percent more pixels. The iPhone 6 brings down thickness to 6.9-millimeters thin, while the iPhone 6 Plus drops to 7.1mm, down from 7.6mm for the iPhone 5s. As expected, Apple relocated the sleep/wake button to the right side of the handset for easier one-handed operation. Apple’s new A8 processor contains two billion transistors and is 25 percent faster than the last-generation A7. Compared to the original iPhone, the iPhone 6 blazes along, 50 times faster and the integrated GPU is 84 times faster. Despite the gains in speed, Apple managed to architect a chip 50 percent more efficient than the A7. 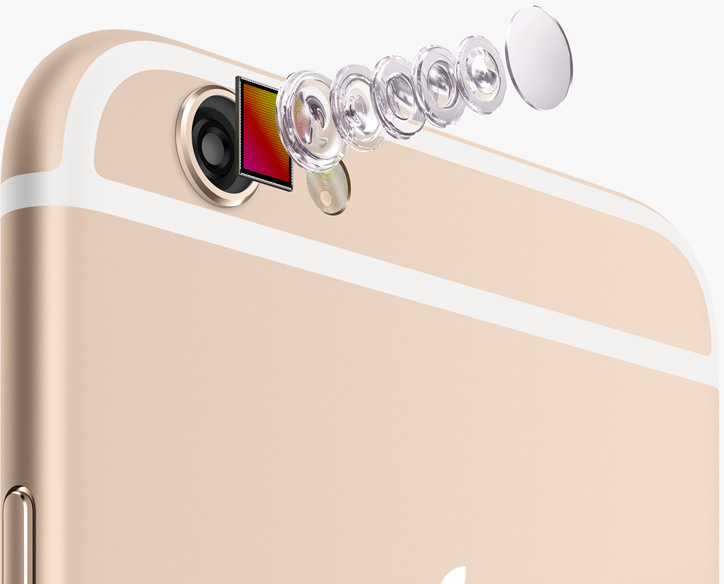 Apple built in a new for iPhone 6 and 6 Plus 8MP sensor with hybrid phase detection autofocus system dubbed “Focus Pixels.” The 1.5-micron pixels also return, as does f/2.2 aperture performance. Apple also added some backend grunt with advanced image processing, allowing for 1080p video at 30 and 60 frames per second, as well as a Slo-mo video at 240 FPS. 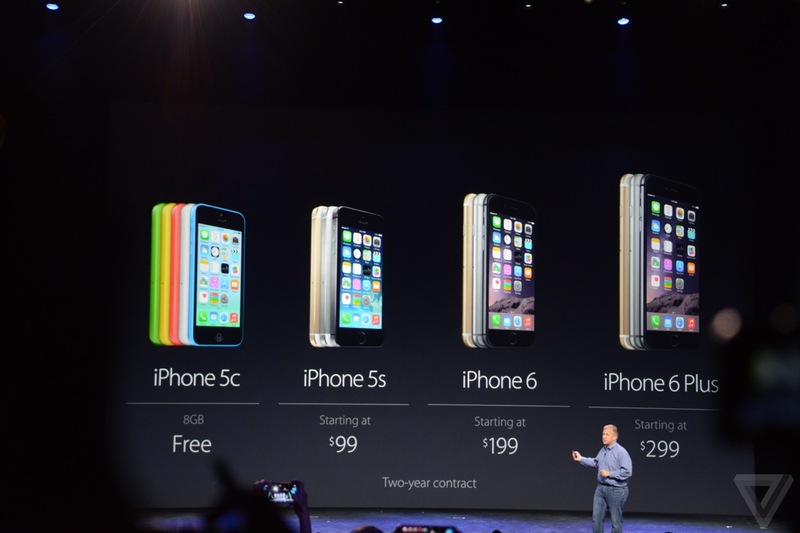 Both Phones start Shipping on September 19. Pre-order September 12. 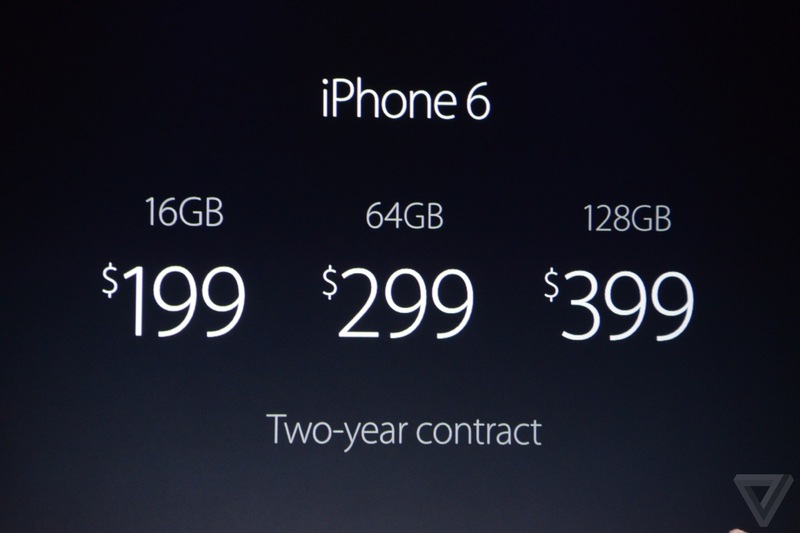 • iPhone 6 Plus starts at $299 for 16GB, $399 for 64, $499 for 128GB. iOS 8 will be released for free on September 17th world wide.